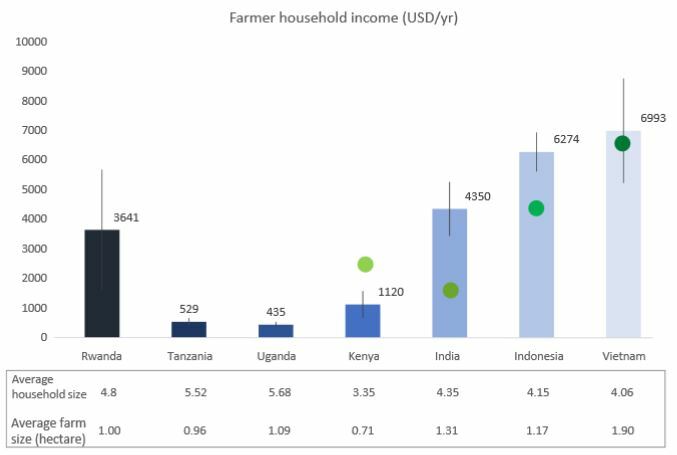 The Impact Institute* undertook the first study of its kind with Fairtrade International; a detailed analysis of coffee farmer income across seven coffee producing countries: Rwanda, Tanzania, Uganda, Kenya, India, Indonesia and Vietnam. 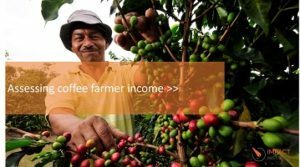 The Impact Institute examined how much farmers earn from coffee and what positive or negative impact the amount has on the overall household income. This infographic demonstrates the disparity of total household income per country.